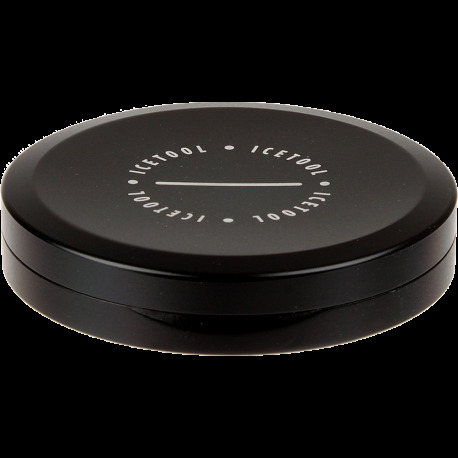 The Icetool Slim Can for portion snus is a durable aluminum low profile snus can in black. Slim design very discreet and comfortable in your pocket or purse. No storage compartment for used portions. There are upsides and downsides to this rather expensive toy. I love the thin profile. It definitely feels better in your pocket. Seems durable with an ok seal but you probably only want to keep just enough for one day at a time. What I don't like is the lack of a catch lid. I like to keep a few different flavors with me but if you throw say a white and original portion, the flavors soak into each other. So a catch lid would be nice just for keeping them separate. I think i would have been happier with the normal ones but then I would lose the thinness of them. Overall its a good product but it isn't what I was hoping it to be. Everything about this piece is top-notch. From the svelte design with its durable anodized finish down to the replaceable gaskets. You could fit a whole can of white portions in this if you really try. As for myself, I keep a day's supply of portions in here while I'm out and about and I no longer sport a clunky, obtrusive snus can outline in my pocket. This awesome can only works to enhance the discretion of snus. This is for portion snus only as it is very slim. The same diameter as regular snus container but half the thickness. Holds about 10 portions. Very well made out of solid light weight aluminum. I got the black one & the paint is electro-plated on instead of painted so paint will not chip. Has a thin pop off lid with replaceable rubber gasket. It is completely waterproof and floats...(I tested in sink full of water). The champagne color model would be less conspicous. The only negative is that it is quite pricey at $41.99 & I do not know how long the gasket will last nor how much a new gasket would cost. I made sure to order this along with my big snus order...you don't want to pay $40.00 in shipping just for the container. I put a few portions in this to take to work instead of taking the full snus container. It would be more air tight with a screw on top. It will last a lifetime though after you get over the initial price shock.